"The Rasa-Studier Gambit game has a nice trap that baits Black's queen to win a pawn with check and then a bishop - which if accepted leads to a forced checkmate! 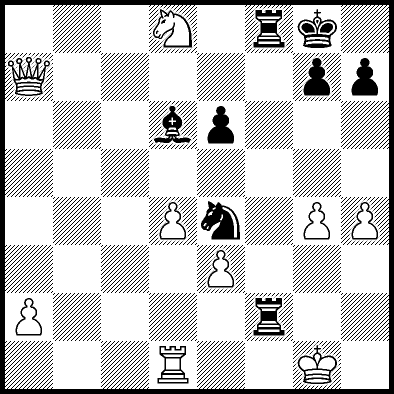 The e6 pawn shields, nay interferes with, Black's queen from defending the weak f7 square. A nice brevity. I have not found this trap in any of my books on traps or database files (including Chessbase Mega Database 2018). Do you know if it has been played before?" Yes, Rick. 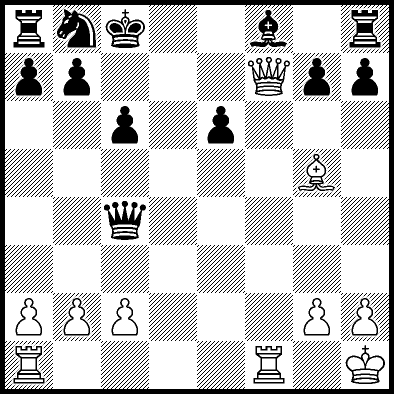 It was played in Vandenbroucke-gron, ICS 1995 (BDGKII Game 85 page 345), a game that was repeated via a different move order in Sawyer-guest, ICC 1997. This wild Caro-Kann Defence ended up in favor of Ray Haines who played Black. This delayed Panov became some type of Queens Gambit Accepted. Moves 18 to 21 were full of blunders on both sides. The most important rule is, "Don't make the last blunder!"